The loss of a beloved pet is one of the most difficult aspects of pet companionship. All pet guardians know that the lifespans of our beloved companions are significantly shorter than our own, but that doesn’t lessen our feelings of pain and sorrow when the time comes to say goodbye. Our lives are forever changed following the experience of loving and losing a companion animal. The death of a beloved pet is arguably one of the more powerful transitions we will experience in life, and it makes sense that a “ritual” of some sort should mark such a deep and meaningful event. Celebrating and honoring your pet’s life in ways that are meaningful to you is an important part of the healing process. The following memorialization ideas are timeless, but don’t be afraid to let your heart guide you toward the process that feels most life affirming for you. 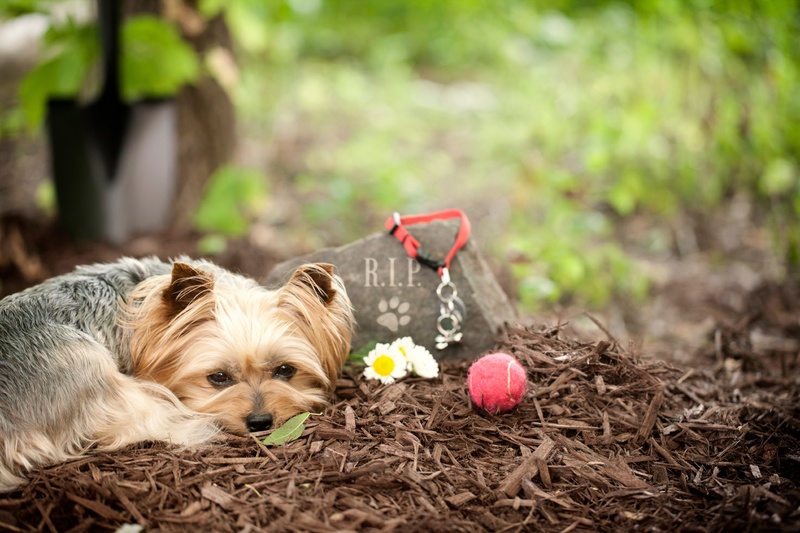 Hold a memorial service for your pet. Some cremation services and funeral homes offer you the opportunity for a pet memorial service. Put together a scrapbook or memory box dedicated to your pet that you can display or look at; include photos and mementos that remind you of your pet. Plant a tree or create a small, pet-friendly flower garden in memory of your pet. Mount a framed photograph of your pet in a place of honor in your home. Share memories and stories about your pet with loved ones and look at photos together. Online groups of pet owners can also help with your grief. Have a plaster cast made of your pet’s paw. Reach out to others who have lost a pet in the past year with a card or phone call. Make a donation to your favorite animal charity in your pet’s name. The human-animal bond runs deep, and the bond we feel with our pets is sometimes as strong as we have with other people. Unfortunately, animal lovers are often left to mourn their pet’s passing in private, as our society at large doesn’t recognize the impact of losing a pet. Call your veterinarian or check their website, many clinics and animal hospitals offer comprehensive pet resource libraries where you can read stories, articles, and find support groups. Don’t hesitate to reach out to trusted family members and friends. You might be surprised to discover how willing your loved ones are to offer you comfort. Kids can be especially traumatized by the death of a beloved pet. Help children work through their bereavement in anyway you can; lots of talking, answering questions, giving them space when necessary, and utilizing resources such as this workbook. No one loves us as unconditionally and wholeheartedly as our pets. Even though they aren’t with us long enough, we can remember our companions in our hearts and know that our lives are richer because we shared it with our animal friends.